Today, I want to consider how we go to war. We need to consider why “war” has those quotation marks around it. And, more crucially, I want to consider how we don’t go to war. As Americans, we seem to have learned the lessons that led to our involvement in World Wars I and II, but not to have learned anything about any war since. It’s a choice of lessons, really. Walter Lippmann has provided the classic insight into this problem. Lippmann was the premier American journalist of my youth. It took me a little while to find him because H. V. Kaltenborn and Paul Harvey were what passed for “news” as I was growing up, but when I did find him, I was impressed. Walter Lippmann helped Woodrow Wilson formulate the Fourteen Points and was in Paris with Wilson as they tried to persuade some very vengeful allies that settling scores from World War I was not as important as finding a way to prevent World War II. Lippmann understood the relationship between public opinion and war better than anyone I had found. Here is a clip from his book, The Public Philosophy. The rule to which there are few exceptions…is that at the critical junctures…the prevailing mass opinion will impose what amounts to a veto upon changing the course on which the government is at the time proceeding. Prepare for war in time of peace? NO. It is bad to raise taxes, to unbalance the budget, to take men away from their schools or their jobs, to provoke the enemy. Intervene in a developing conflict? NO. Avoid the risk of war. Withdraw from the area of conflict? NO. The adversary must not be appeased. Reduce your claims on the area? NO. Righteousness cannot be compromised. Negotiate a compromise peace as soon as the opportunity presents itself? NO. The aggressor must be punished. Remain armed to enforce the dictated settlement? NO. The war is over. That’s Lippmann, reflecting on U. S. foreign policy between the two major wars of the 20th Century. I put the NO in caps, but Lippmann’s point is that the answer is always NO to these questions. First, I think it is worth reflecting on the style of the exchange. The proposals of the leaders, the first item in each pair, are strategic and they are oriented toward foreign, rather than domestic, concerns. The leaders are interested in anywhere there are, as we say today, “American interests.” The responses of the people, by contrast, are domestic for as long as possible and then, exclusively moral. Points 1, 2, and 6, for instance, have to do with domestic, rather than foreign concerns. They are about taxes, budgets, jobs, (provocation), risk, and returning to “peacetime” as quickly as possible. Points 3, 4, and 5 are necessarily “foreign”—U. S. wars tend to be “there,” not “here”—and loaded with moral gravity. There is “appeasement,” for instance, which provides a context for what would otherwise be called “compromise;” there is “righteousness;” and the “punishment” of aggressors. In these pairs, it is easy to see that the leaders’ proposals are prudential. We should prepare; we should intervene; we should withdraw, we should reduce our claims; we should negotiate; we should remain armed. The citizens find prudence to be pallid. They think of righteous anger. They condemn appeasing adversaries and compromising “righteousness;” they applaud punishing the aggressor. Today, our leaders know the kinds of things Lippmann features. A leader wonders whether we should claim something—a right, a level of tariff, an international agreement—that we are not prepared to defend. The people want to know if it—the area, the right, the agreement—is “ours.” If it is ours, we need to do whatever is necessary to prevent anyone from infringing on it. So the discrepancy Lippmann saw is still there. You might have noticed, however, that the language of foreign policy debates no longer sounds entirely like the exchange Lippmann noted. There are still leaders who sound like that. President Obama and his military advisers are among them. That is why they are called “weak” and “indecisive.” Many others, both Democrats and Republicans, know the kinds of things the president knows, but express themselves in the style that the people will best respond to. This is not a partisan matter. 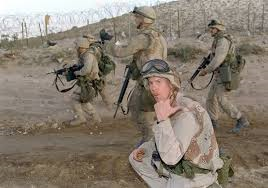 Compare President Clinton’s speech justifying our incursion into Mogadishu, Somalia, to President George W. Bush’s speech justifying our incursion into Iraq. Here is President Clinton in 1993. And here is President George W. Bush, ten years later. “Our nation enters this conflict reluctantly, yet our purpose is sure. The people of the United States and our friends and allies will not live at the mercy of an outlaw regime that threatens the peace with weapons of mass murder. “We come to Iraq with respect for its citizens, for their great civilization and for the religious faiths they practice. There was great popular support for those military operations initially. It is hard to remember that today, but it is true. Why? Look at the justifications in the light of the list Lippmann gives us. You see “human tragedies, starvation and disease, at the mercy of an outlaw regime, respect for religious faiths, restore control to the people.” All those are drawn from the style that Lippmann lampoons. They are in the “no appeasement of aggressors, no compromise of righteousness” style. And they worked really well. President Obama is approaching the question differently. Here is a clip from his speech in 2011 on military operations in Libya. In the first part of the speech, he follows the script faithfully. Qaddafi is a madman, he threatens genocide, American interests are at stake, etc. Then this. Notice that “America’s role is limited;” that we will “transfer responsibility to our allies;” that we will “play a supporting role: and that the risk… to American taxpayers will be reduced.” Hear the trumpets? See Old Glory flying in the breeze? I don’t either. 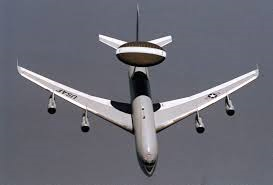 We do see AWACS planes, though, well above the fray. And President Obama didn’t get the public opinion bump either, that presidents get from sending “our brave men and women” into harm’s way. In fact, nothing President Obama is willing to do is going to get him a public opinion bump. President Obama is reading the wrong script. Americans see our wars like westerns (see footnote 4). It’s good v. evil. You ride in. You kill the bad guys. The townspeople are grateful. Then you ride out of town and they get back to their lives. For Obama, it’s good v. evil, but you don’t ride in without support from the neighboring towns. You don’t kill the bad guys; you just get them to stop doing what they are doing. The townspeople are still looking around anxiously when we ride out of town, because the bad guys are still there. But…look at the bright side. It didn’t cost as much as doing it the old way. I’m not knocking President Obama. I agree with him. I admire his style and his judgment. The world is different than it was between the world wars. The political setting is different; the economy is different. We will have to pick our battles differently. We will have to fight wars in a way we can afford—politically, economically, diplomatically—to fight them. Any American president will have to do that. But the role of “the people” has now been taken up by foreign policy hawks who get State Department briefings. Sen. McCain of Arizona is a good example and Sen. McCain says what he says not because he is a member of the Republican Party but because he is a member of the Hawk Party. Democrats and Republicans alike are members of the Hawk Party. They read from the right side of Lippmann’s list and talk about appeasement and aggressors and punishment. People love it because it implies that the old western script still works. It doesn’t work anymore. It is President Obama’s job to tell us that. We don’t want to hear it. 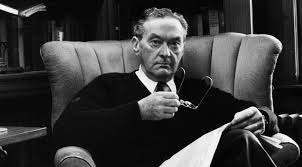 Walter Lippmann, The Public Philosophy. New York: New American Library, 1955. pp. 19—20. Lippmann died in 1974, just as I was completing my graduate studies at the University of Oregon. Some part of me wants to say “moralistic” there because I disapprove of the stands that were offered. Easy enough to do in hindsight. But “moral” is a term that does not prejudge the proposal, so it is better. Americans tend to think of foreign engagements as western thrillers. The good guy rides into town, confronts the crisis, kills the bad guys, and rides out of town completely without encumbrances or collateral damage. I once asked George Ball in a public setting why President Johnson placed him, a Vietnam “dove,” on a task force of Vietnam “hawks.” He smiled. He said he thought of himself as an owl. I’m pretty sure he had Minerva, the Roman goddess of wisdom, in mind when he chose the owl reference, but it was a public meeting and George Ball was not stupid. This entry was posted in Political Psychology, Politics, Sustainability and tagged Bill Clinton, George W. Bush, going to war, Iraq, Mogadishu, President Obama, punishing aggressors. Bookmark the permalink.